We excitedly await a litter from Lucy and Keno on April 15th, 2019! Lucy is AKC reg, OFA'd for hips and DM clear. Her sire (Alvin) is a Czech Republic import and has an IPO1 title. Keno is AKC reg, OFA'd for hips, DM clear and has his "K9 Good Citizens Award". Both dogs have superb temperaments and are great with horses, children, other dogs. All puppies are $1,200. Puppies have gone to police departments, fire departments and as service dogs across the country. We've even had people purchase more than one puppy! Puppies come with their first round of shots and are de-wormed at 2, 4, 6 and 8 weeks. The German Shepherd dog is extremely smart. They are excellent protection, work and family dogs. They are happiest when exercised and given a job daily. Like all dogs, German Shepherds crave physical and mental stimulation. 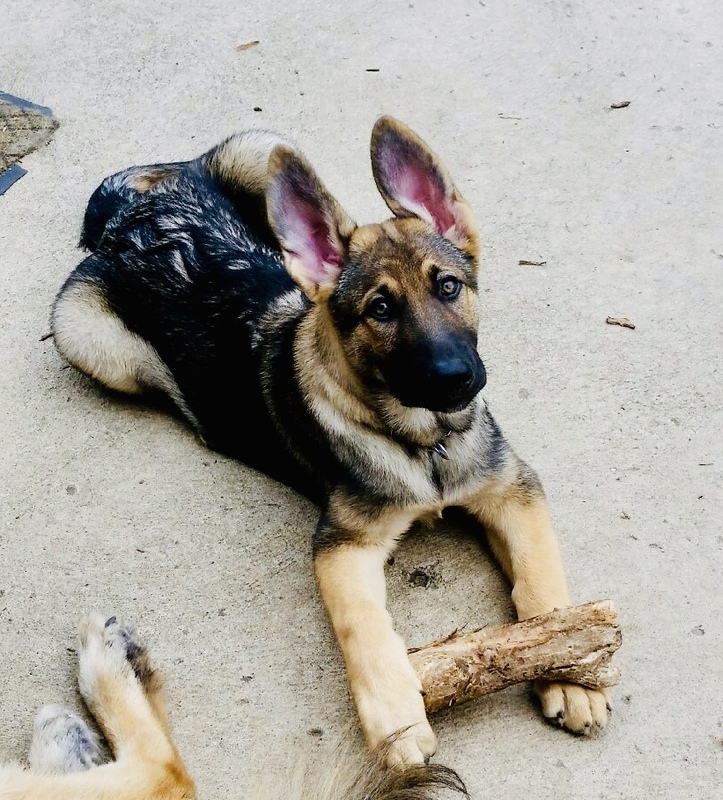 We ask that you make ample time to care for your German Shepherd puppy and begin training/socializing at a young age. A good home is our utmost priority!